Zuite is a "control panel" program to help reduce clutter on your desktop. Poser-related Zenware appears on one tab with graphics and user-defined programs on others. It will run in English or French. And now also in German! 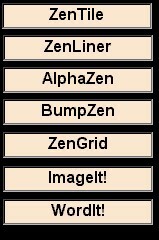 Here are the programs that are automatically loaded on the Zenware Graphics tab. And here is the User tab where up to 8 programs can be instantly accessed. 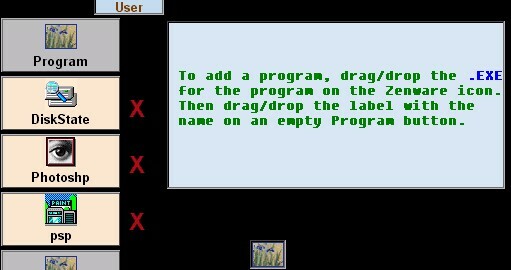 Clicking the red "X" will remove the program beside it so you can change your shortcuts. You do not need to own any Zenware to use Zuite! 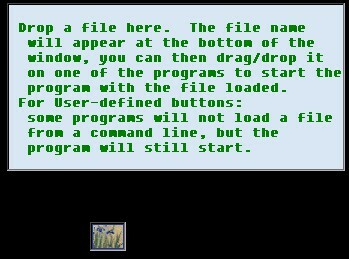 To start programs with a file loaded drag-drop it from Explorer. The built-in preview will let you look at almost any file -- if you work with 3D geometry the mesh will even be shown! This is a free public beta program and the About window can send email reports to Zenware about problems and suggestions as well as access news about the availability of updates. Older versions of Zenware will not show up on the Poser and Graphics tabs please contact Zenware for the latest updates if this happens.